Is possible to make a book 2 bus (A/C) seats for my family? 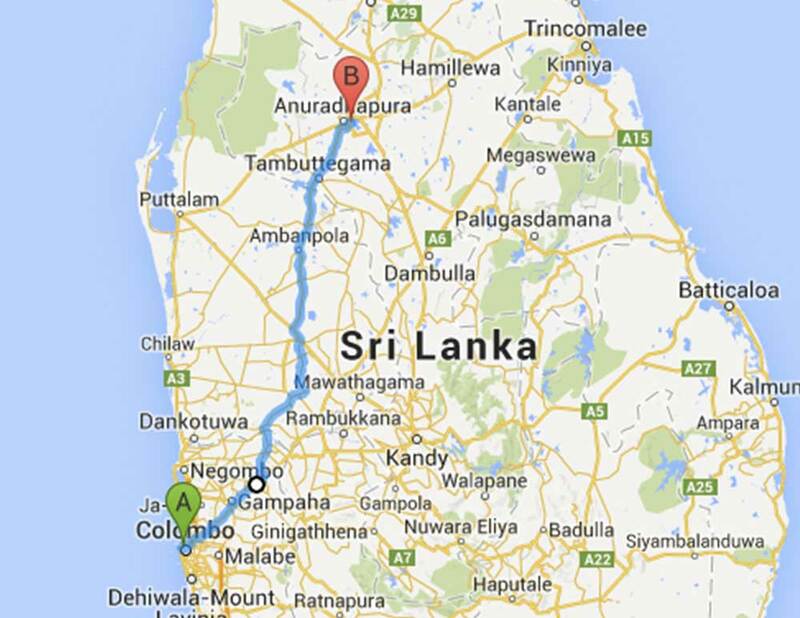 They will be travelling from Colombo to Anuradhapura on 21st Dec (Early Morning). Expecting your prompt reply. Thanks lot. There are bus from Anuradhapura to Dambulla? There must be! Unfortunately we don’t have that route mapped yet. It would be super helpful to the community if you find one and let us know- then we can add it! What is the most luxurious bus from Wellawatta to Anuradhapura? Can I know the bus time table anuradhapura to colombo via kurunegala?? I want the early morning time tbl schedule..
Hi, we will like to go from Kolombo to Anuradhapura 03.01.2016. My husband and I will arrive at 7:10 p.m. at the airport and then will like to go anuradhapura. Can you give us more information like time table, cost, even rout(which one is better airport to anuradhapura or airport to colombo, anuradhapura). Normal bus fare from Colombo to Anuradhapura is Rs. 232 and Colombo to Trincomalee is Rs. 288. You can find more information on bus fares here.